Content changes over time to reflect customer needs and technology changes. This means that there are several tracks of planning that need to be understood. By necessity, the operating systems that you use may be largely down to compatibility, stability and availability. Customer expectations increase over time as familiarity of a kiosk and what it is can do becomes more clearly understood. 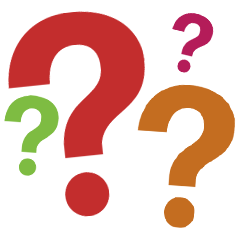 – Think about how you use an ATM, plenty of the features are a given and are now considered the norm. 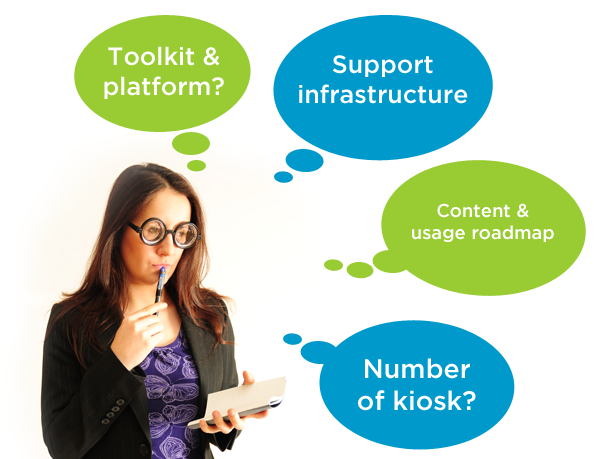 Platforms can provide some advantages over toolkits because they provide a centralised method for managing groups of kiosks autonomously from the operating system they are on – because kiosk platforms can work with many different operating systems. However platforms require more in depth involvement in setting them up initially. It might not be cost effective for smaller networks (e.g. less than 100 units) to be on a platform unless the control required is very important to the operator. Larger networks gain significantly from a platform approach because organisations can standardise. Genkiosk is a kiosk management platform designed to take over many of the processes that – if multiplied up over larger estates – cannot be done using the toolkit method of managing kiosks on an individual basis. Genkiosk provides structure in the way content and customer interactions are controlled. If you would like to see it in action feel free to contact the Genkiosk team for a demo..